This month, I’m encouraging you to be bold with your bathroom design by using darker colours to deliver on-trend interiors. In this blog post, we’ll be looking more in-depth at a bathroom design I’ve named Eclectic Vision. 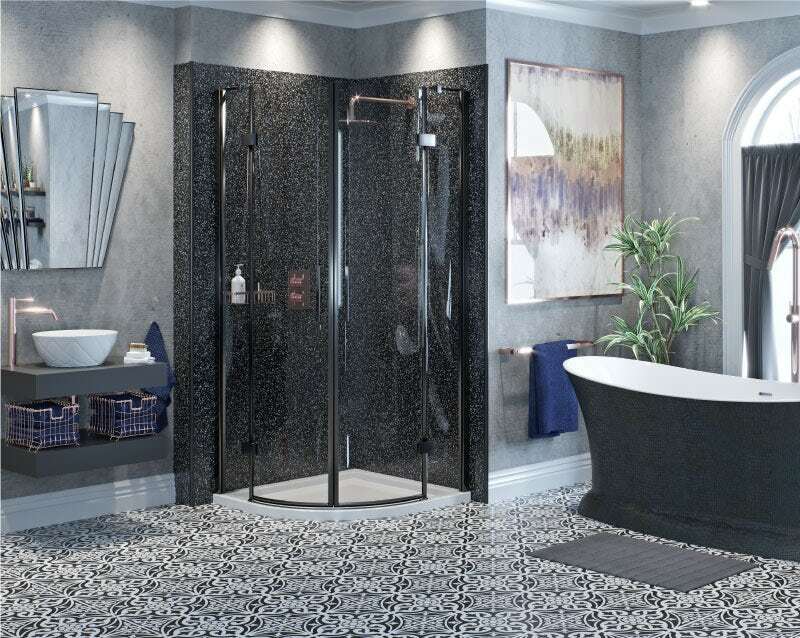 As you can see from the dictionary definition, an eclectic approach to bathroom design simply means taking inspiration from a range of styles, instead of sticking to just one. Whilst you may feel this will leave things looking slightly disjointed and uncoordinated, it can actually be a powerful way to inject character and personality into your space. Eclectic interior design is a trend that has grown in popularity, especially with those who love both contemporary and traditional styles. However, before you start picking random elements out, it is worth sticking to a general theme, rather than an accepted style. With my Eclectic Vision bathroom, we have picked up on another growing trend, which is dark interiors. Whilst many homeowners tend to play it safe with a light, bright and neutral colour scheme, some are now taking the brave step into darker, more theatrical settings with deeper, richer, moodier colours, surfaces and textures. 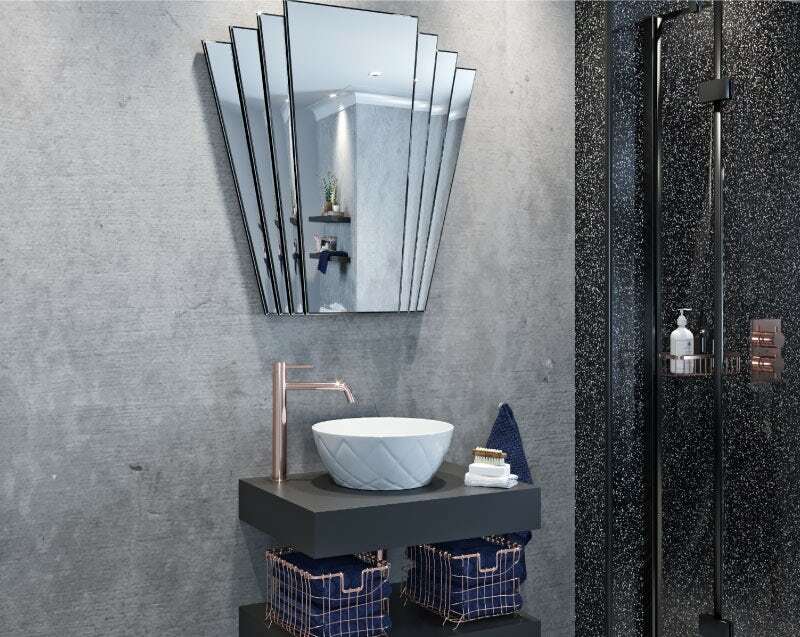 Whilst traditional elements, like the luxurious slipper bath, Art Deco mirror and classic close coupled toilet really do stand out amongst our Eclectic Vision bathroom, there are plenty of neat contemporary elements to add that modern touch. Let's take a closer look at just some of the ways you can add bold, eclectic style to your bathroom. A traditional roll top, slipper or bateau style bath is the perfect place in which to relax, unwind and let the stresses of the day wash over you. We've added to the dark theme by choosing a vintage-inspired tub with a luxury black crocodile skin effect exterior. However, with our Eclectic Vision bathroom, instead of complementing with a traditional tap, we've chosen a contemporary freestanding bath filler. Feature tiles can add genuine character to your floors and are very popular these days. Why not add contrast by choosing a Victorian-influenced motif and then painting your walls with a concrete effect finish? Handy hint: Find out how to create a concrete paint effect on our YouTube channel. If you like the look of traditional ceramics, there's no reason why you shouldn't add a classic close coupled toilet with handle flush. Choose one with black wooden seat to add to the darker theme. Contrast this with a thoughtful display, by adding treasured possessions, photos, plants and objects from your travels to contemporary shelving. 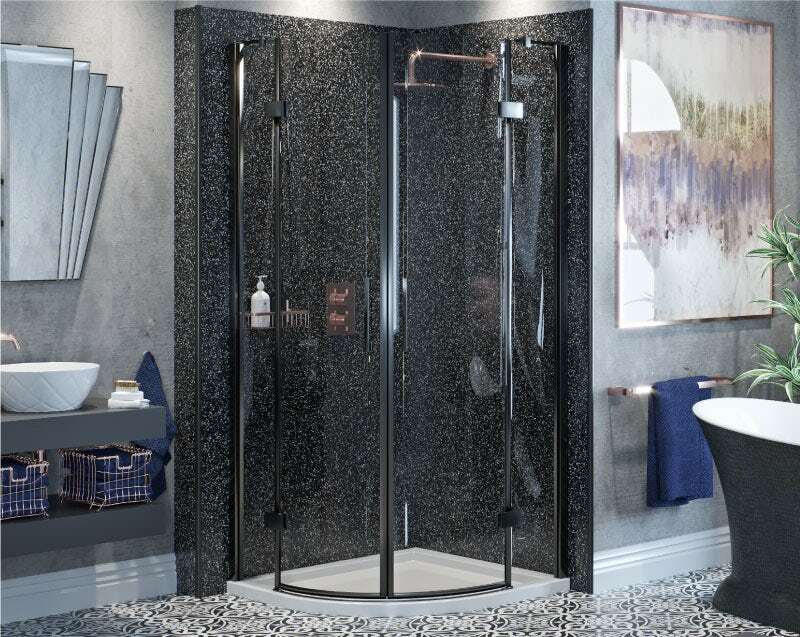 Keep with the monochrome theme throughout your bathroom by adding a contemporary black framed shower enclosure. When combined with stunning black wall panels, containing metallic flecks, you start to get a real sense of fantasy. Mix things up further with a special metallic finish for your shower. In this instance, we've opted for rose gold but you could also choose brushed nickel, gold or even matt black. We've also added further rose gold accessories in the form of towel rails and baskets. Perfectly demonstrating how traditional and contemporary elements work well together, the basin installation uses a good mix of products to achieve incredible results. The countertop basin itself gives a nod to traditional style, with a beautiful textured pattern, however, it sits atop a highly contemporary dark shelf with a rose gold finish high rise tap. Bringing yet another traditional style into your overall theme is the gorgeous Art Deco style mirror. You can now "shop the look". 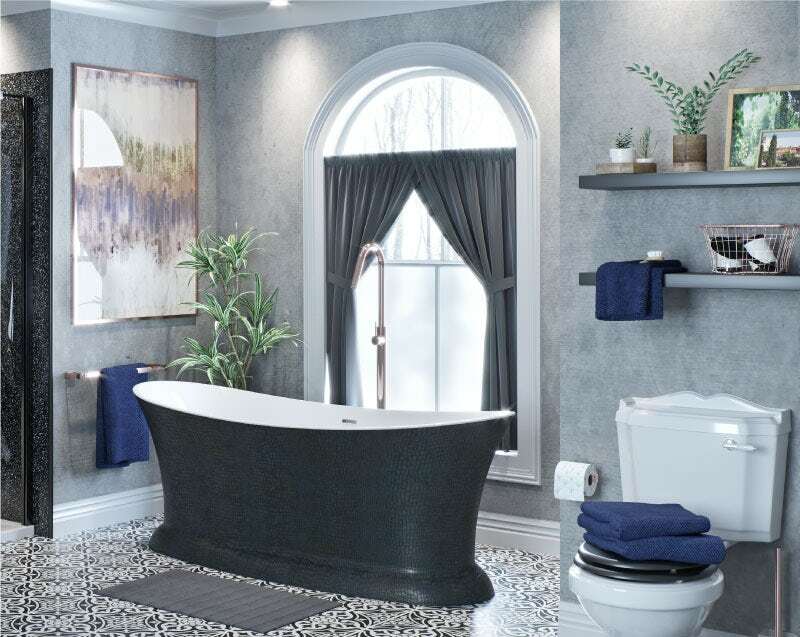 Simply click on the banner below to see all the products used in this and our other "Be Bold" bathrooms, plus, you can also buy this complete suite. Find out more about the interior design trend behind our Be Bold bathrooms and discover how to "Power-Up" your bathroom with the latest smart technology. If a black and white colour scheme is more your thing, why not find out more about using monochrome to the max! Ever wanted to be more adventurous with your interior design skills? In our latest "Get the Look" style guide, we'll show you how to "be bold" with your bathroom. Be bold with your bathroom and create a futuristic look with the latest smart technology and rich colours. I'll show you how in our latest get the look style guide. Be bold with your bathroom. In our latest get the look style guide I'll show you how to use monochrome to the max to create a daring and dramatic contemporary setting.